I would like to receive occasional information and updates from The Poppy Boy and jumblebee. Allen Heritage have the pleasure of auctioning this delightful Remembrance day inspired piece of art which appeared on the hoarding of the New Homes development, Carmilla Court, being built by McAllister Developments LTD. 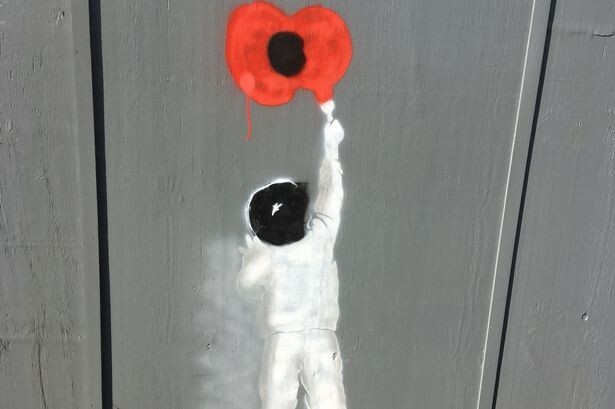 The artist remains unknown but the Poppy Boy has attracted lots of positive attention on the Wickham Road from passing traffic, the local community and local business owners. Created on Friday 10th November 2017 just in time for Remembrance Sunday 2017, The eye-catching piece of art depicts a young boy painting a poppy. 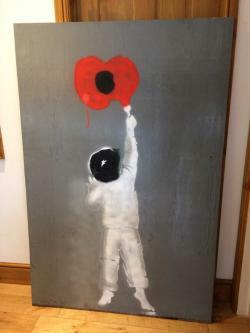 Mr Richard McAllister and Mr Tim Joseph Of McAllister Homes have kindly offered to preserve this piece to allow Allen Heritage the privilege of auctioning "The Poppy Boy" to raise funds to support "The Royal British Leigon". We thank you for visiting this page and we Look forward to "The Poppy Boy" taking up a new residence in aid of an extremely worthy cause.